MANILA, Philippines – After 11 months of hybernation and switching his focus on the National Elections next month, Manny “Pacman” Pacquiao still managed to drop his arch-nemesis, Timothy “Desert Storm” Bradley twice and win the WBO International Welterweight Championship belt on Sunday afternoon (Manila Time), April 10, 2016 at the MGM Grand Arena in Las Vegas, Nevada, USA. The Word Choir sang the Philippine National Anthem that put all the Filipinos present in MGM Grand Arena as well as Manny Pacquiao while he was in his dugout on their feet with pride and enthusiasm while American Idol Season 15 Trent Harmon performed the “Stars Spangled Banner” in acapella also. Tim Bradley was the first fighter to be introduced by the event announcer, Lupe Contreras, sporting his purple and gold trimmed trunks. Pacman Pacquiao on the other hand, fashioned his new look boxing shorts without the familiar “swoosh” logo on it. But, for his shoes, he still preferred Nike because of mobility and comfortability reasons. Couple of months ago, the most popular sporting brand, dropped Pacquiao from the list of its world-class athletes - endorsers due to his derogatory comments on the LGBT community. When the bell rang, it looked like that the two boxers just met for the first time as they sized-up each other in the opening round. Not much action and highlight on the first three minutes of the bout. Bradley, honed by Teddy Atlas, Mike Tyson’s former trainor, totally changed his fight style for this bout. He looked more aggressive offensively in the second round throwing good jabs and body shots at Pacquiao. Manny connected a short left to Timothy’s chin at the 15th - second mark which served as the Filipino’s lone highlight of this round. Pacman opened the 3rd with a left straight followed by another short left but Bradley countered with his own short right. Manny started to get aggressive and pursued “Desert Storm”. It was Tim’s turn to hunt but Manny made him missed from all angles. Manny has finally gained his momentum and started the 4th with decent shots at Bradley. Pacquiao might have lost his killer instincts but his speed remained and became an asset in dodging Bradley’s flurry of punches. 40 seconds remained in the round and Manny continued to pepper his American opponent with stiffed combinations to the head and body. Tim push-punched Manny as the 5th canto started that put the Filipino’s back on the ropes. Bradley continued to move forward and connected few good hits to Manny’s body. Both fighters were on attack mode and traded fists in the last 30 seconds of the round. Audience were on their feet as the gladiators exchanged punches. The bell sounded but both boxers didn’t want to end the slug fest that made the paying patrons jubilant and wanting for more action. Midway of the contest, Bradley initiated the contacts. While Manny was so focused and obviously waiting for an opening that could stun Timothy. But the Filipino’s defense was so tight and indestructible. Bradley was purely hitting Pacquiao’s hands. 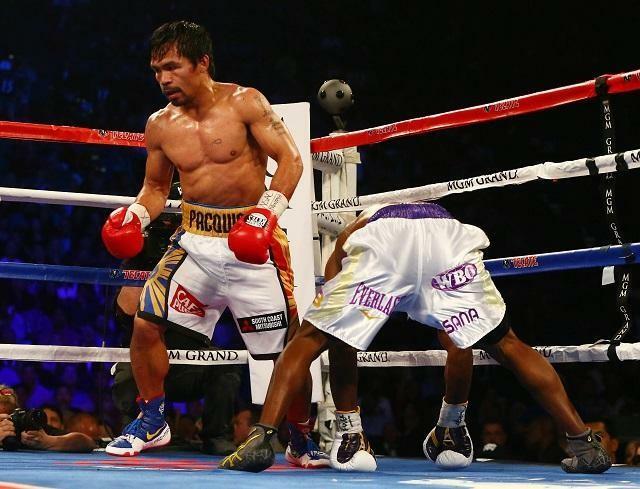 Pacquiao was lucky to evade Bradley’s attack with the help of his upright guard and quick shuffling feet. With five more rounds remaining in the bout, Manny Pacquiao sensed an urgency to impress the judges to win his farewell fight. He scored with a right straight and left hook that connected directly to Bradley’s face. But the latter countered with his own left that hit Pacquiao’s chin. Manny utilized his blinding speed combined with barrage of quick hands that made Bradley outbalanced at the the 10th – second mark. Referee Tony Weeks counted it as a knockdown in favor of the Filipino ring icon. After scoring a knockdown, Pacquiao continued doing his business in the 8th round. He continued to hit Bradley. Timothy, had his own business to do in the ring as well. He poured it all out at the last 44 seconds that resulted to a good round for him. 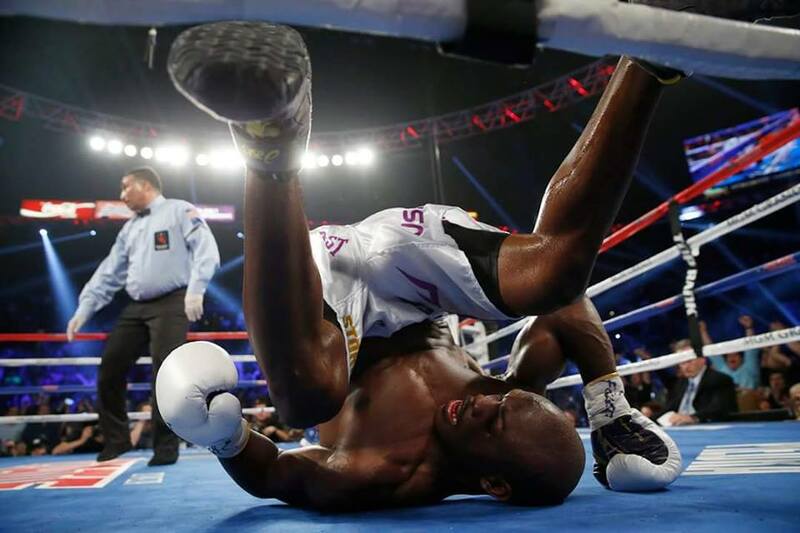 Sensing that he was behind by plenty of points, Timothy Bradley continued to be aggressive in the 9th round. Incredibly, Pacquiao was connecting his punches even while he was stepping back and avoiding Bradley’s counters. At the 50th second, Pacman dropped Bradley hard on the canvass with a short but strong left hook right in the American’s wide-opened and defenseless jaw. That was Pacquiao 2nd scored-knockdown that gave him ample lead on the judges score cards over Bradley. After a hard fall on the 9th round, Bradley showed fearless and came out strong and still standing tall come 10th round. He landed a perfect left haymaker and straight right on Manny Pacquiao. By this round, he knew that Manny is way ahead of him in terms of scores and his only chance to win is to knock Pacquiao out. Pacman on the other hand, showed maturity and carefully let the 10th round passed unharmed. 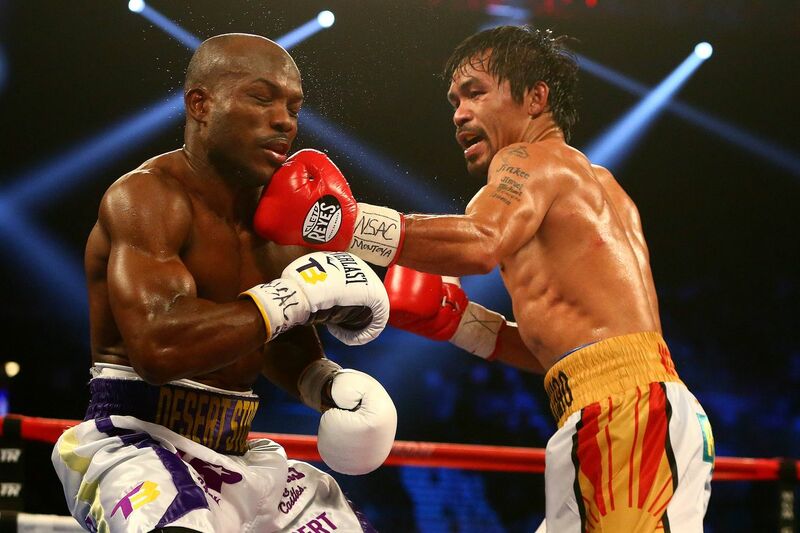 During the penultimate round, Pacquiao was keeping his distance against Bradley while throwing few jabs. Pacquiao held on his ground without lowering his ground until the 12th and final round to secure the victory. 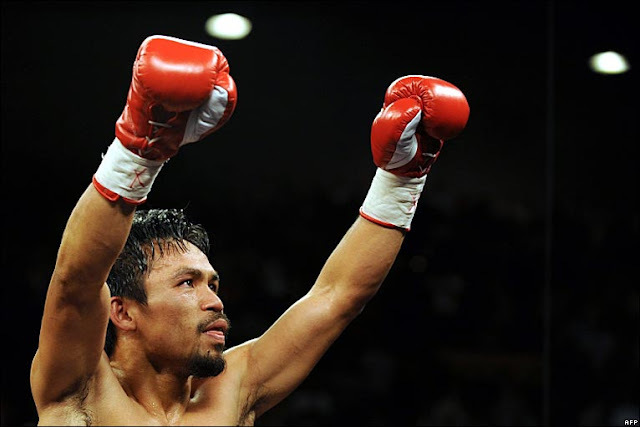 As predicted, the bout went to the distance with all judges favoring Manny Pacquiao unanimously. Pacquiaos walks to his corner after the final bell with a win. With the win, Pacquiao will go home to resume his political campaign with the championship belt. Manny was firm on his decision that this is final fight and vowed to be more focus if he wins a senatorial seat next month. Floyd Mayweather Sr., disclosed that Pac – May fight 2 is still possible to happen despite of his son, Floyd “Money” Mayweather Jr. hanging of gloves after the “fight of the century” May last year.